With your help we have been able to provide these kids clean water. Nearly a 1,000 children die every day in the world because of a lack of clean water. That’s why Sylvia’s Children knew that we had to have clean water. 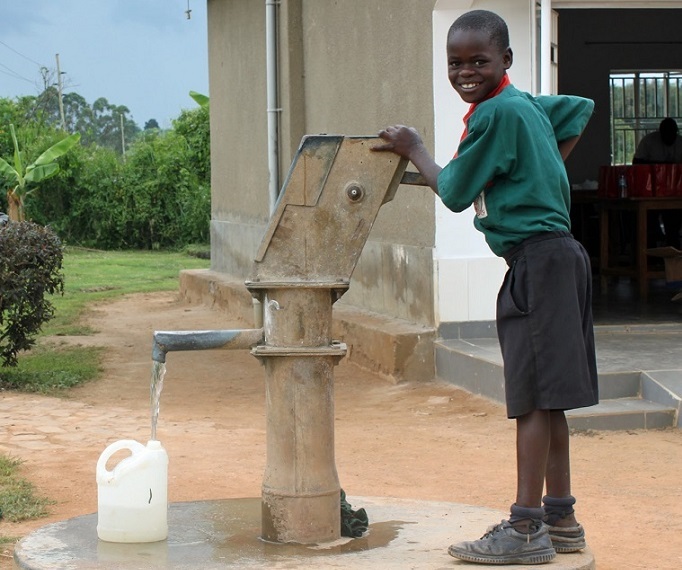 Providing our kids with reliable safe water allows our kids to live healthier lives. More than 1.1 billion people globally lack safe drinking water. 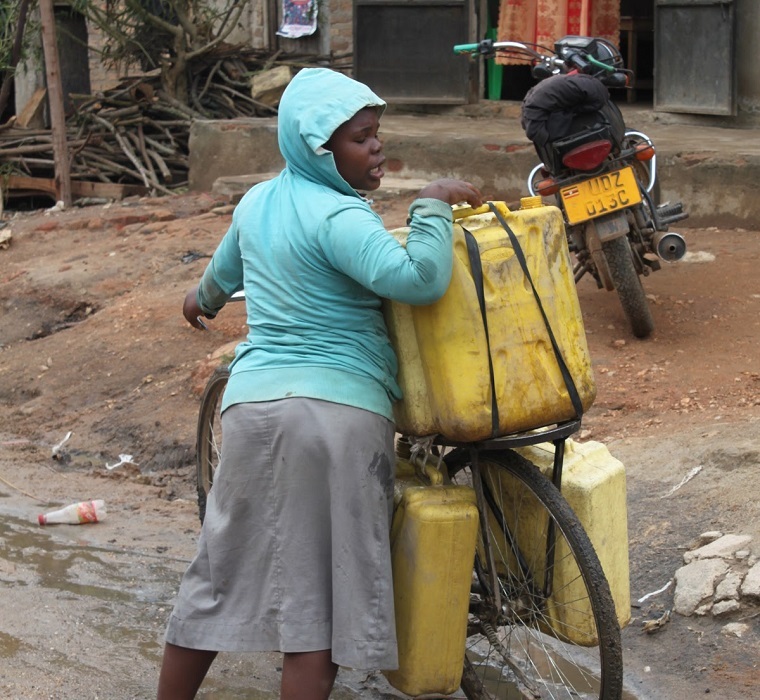 35% of the population in Uganda lacks access to safe water. Water collection is a frequent chore for children. 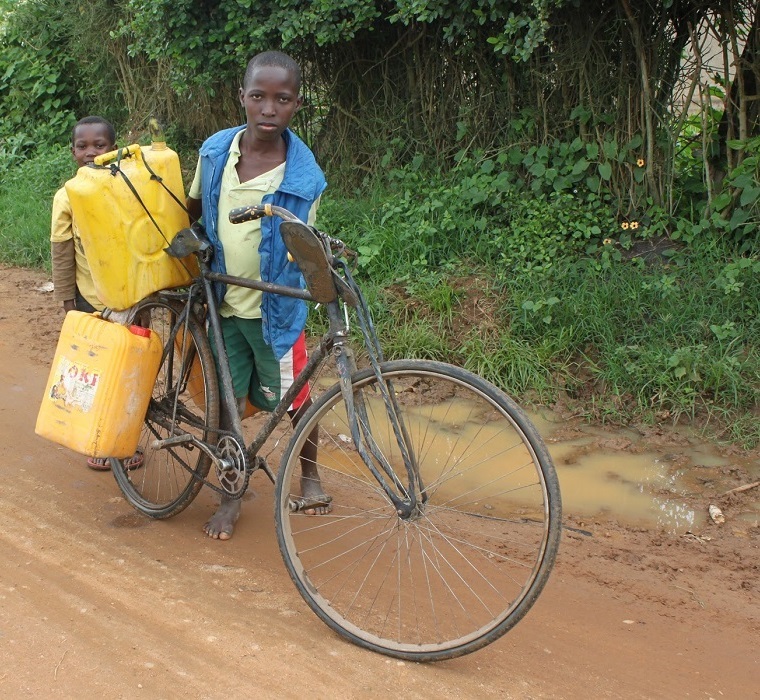 Too often students use valuable class time to fetch water long distances from the school. Sometimes the paths are roads that are dangerous for children. Frequently, they are collecting water from contaminated sources. Lack of clean water has serious effects on students’ academic performance and attendance rates. 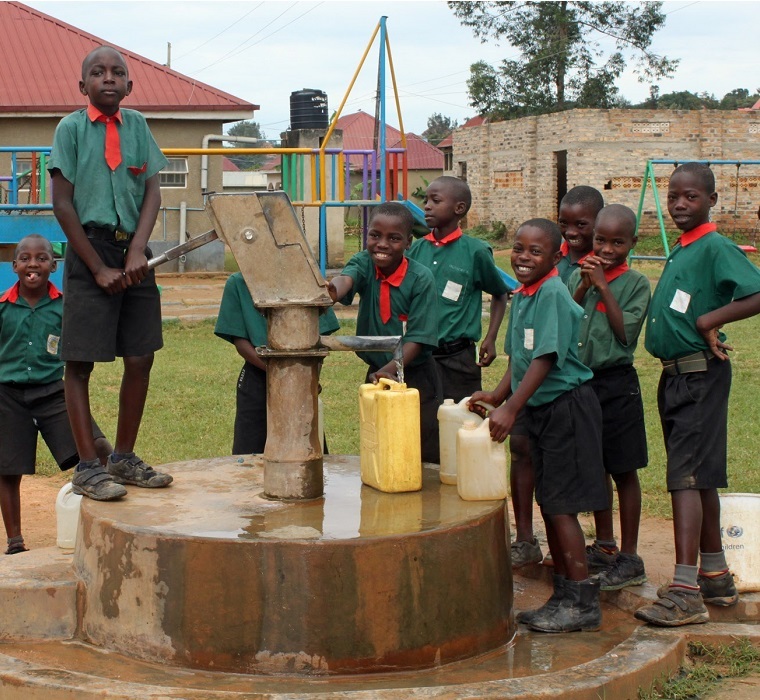 There are schools in Uganda that do not have water on its property, their students have to take long breaks to fetch water from wells located far away. Often those young people have to carry yellow (Jerry) jugs that are far too heavy for them, it affects the development of their spines as they grow. Sylvia’s Children is trying to make a difference in the lives of young women too. It might surprise you to know that many girls are not able to attend school because their main responsibility is collecting water for the family. It requires hours of walking each day. To many of these young women have to drop out of school when they reach puberty because of a lack of separate female facilities. In a nation that is blessed to have drinking water fountains in the hallways, it is hard to imagine a school without restrooms that have flushing toilets and hand sinks. Unfortunately, that is exactly what many classrooms throughout Uganda do not have. This lack of sanitation causes serious health problems for kids. We have done a lot but we can still do more with your help.